My apprehension about Solo: A Star Wars Story began long before Phil Lord and Chris Miller were fired from the set. I never particularly cared to see a Han Solo origin story. He is a character who works better with some mystery behind him, and I didn't want the veil to be lifted. But Lord and Miller's attachment did interest me, and so I gave the film the benefit of the doubt. However, LucasFilm then fired Lord and Miller with just three weeks left of shooting, and Ron Howard came on and reshot over 80% of the movie. So considering the fact that I never wanted a Han Solo movie, paired with the film's production problems, I haven't been all that excited for Solo: A Star Wars Story. I always planned on seeing it and hoped that the movie would surprise me, but I never had that internal feeling of pure excitement that I feel before seeing a Star Wars film in theaters. But I saw Solo, and I had a good time with it. Solo: A Star Wars Story is fun fluff. It doesn't really add anything to the overarching Star Wars mythology, but it's an entertaining adventure within the universe. The film covers the early years of Han Solo (Alden Ehrenreich, Hail Caesar), including how he met his trusted co-pilot, Chewbacca, (Joonas Suotamo, Star Wars: The Force Awakens). Together, they embark on a heist that they hope will get them out of debt with the villainous crime boss, Dryden Vos (Paul Bettany, Avengers: Infinity War). 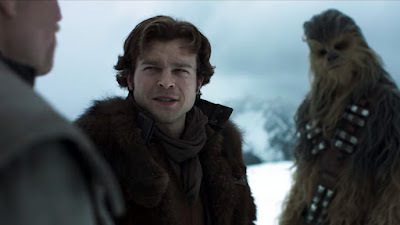 One of my biggest concerns from the trailers was how Alden Ehrenreich would do as Han Solo. With every piece of marketing I saw, it always felt like Ehrenreich was just a guy called Han Solo, as opposed to him feeling like the actual character. But within the context of the movie, Ehrenreich nails it. There are a few points where what he does feel out of character, but for the most part Ehrenreich convinces me that he is Han Solo. From how he holds himself to the delivery of his lines, I genuinely believe that I am watching Han Solo on the big screen, and not some guy pretending to be the character. That is one of the biggest accomplishments of Solo because, without it, the movie falls apart. Ehrenreich--short of a younger Harrison Ford--is the best man for the role, and I think he did a terrific job in pulling it off. Ehrenreich's chemistry with Joonas Suotamo's Chewbacca is excellent. The film really nails their dynamic, and it is one of the best parts of the movie. It feels rough and different, consistent with the fact that this is the beginning of their relationship. But, at the same time, the spark is there and it feels familiar. I liken this to X-Men: First Class. Going into that movie, I was afraid that the dynamic between Charles Xavier and Erik Lehnsherr could not be recaptured. Patrick Stewart and Ian McKellen nailed it so perfectly, and it had been iconicized by those two actors. But when James McAvoy and Michael Fassbender stepped into the roles for First Class, they recaptured that dynamic excellently. That happens here with Solo. 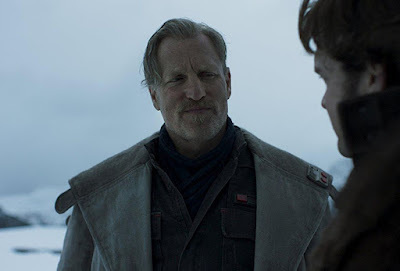 Now, I'm not comparing Ehrenreich's performance to that of McAvoy's or anything like that, but Solo is able to recapture Han and Chewie's relationship with new actors in the same way that First Class was able to with Charles and Erik. Solo pulls off the two most important things it needed to do: it convince us of Alden Ehrenreich as Han Solo, and it sells us on Han and Chewie's dynamic. The supporting cast is all really good as well. 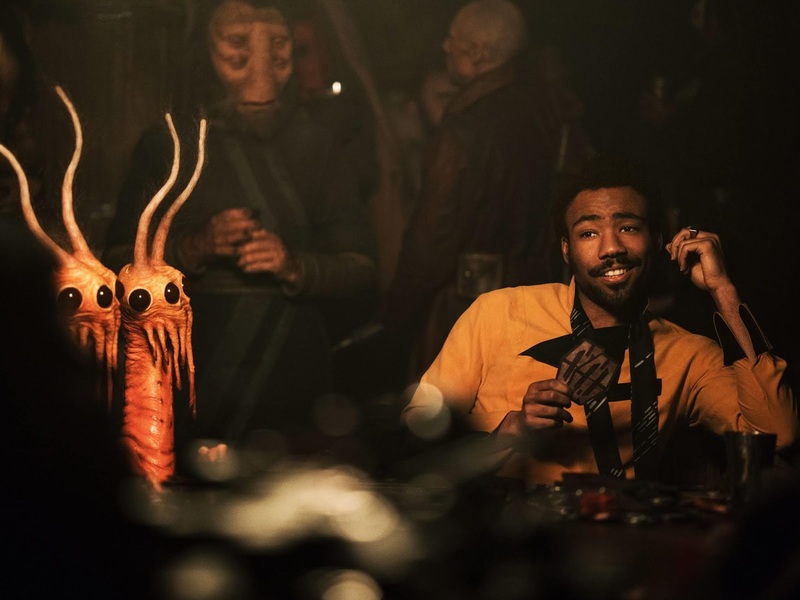 This goes without saying, but Donald Glover is excellent as Lando Calrissian. He masters the charm and the suaveness of the character, and he is incredibly entertaining whenever he is on screen. I was surprised by how little Glover is actually in the movie. He has a sizable role, but I thought he was going to be one of the leading characters, and he isn't. The movie certainly would have benefited from more Lando. Emilia Clarke, Woody Harrelson, and Paul Bettany round out the supporting cast, and they are all really good. But Alden Ehrenreich and Donald Glover are the two stand-out performers. The action sequences in the film are all high-octane and thrilling. Ron Howard has talked a lot about how he reworked the action once he came on board, and he does a splendid job with it. These scenes do a great job of immersing you in the action, and making you feel apart of them. They are not at the same level as say Avengers: Infinity War or Deadpool 2, but they feel like Star Wars, and that's what is important. These scenes work to make the film feel like a fun, Star Wars adventure, and I really appreciate that element of the movie. Solo is a little bit clunky, however. Some of the lines and references are too on the nose, especially one near the very beginning of the film. It feels too forced and contrived, and I could have done without some of these moments. It also drags a lot, especially in the middle. While I had a really fun time watching it, Solo does little to convince me of why this movie needed to be made in the first place. Sure it is fun, but there's no real meat to it that shows me why we needed this of all Star Wars anthology films. That is why I would classify is as fluff. Fun fluff, but fluff nonetheless. 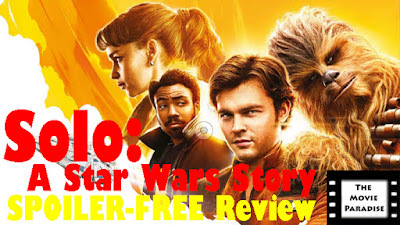 Overall, Solo: A Star Wars Story is entertaining and exciting. It is far better than I initially thought it was going to be. Considering all of the behind-the-scenes drama, it comes together well as a competent film. Alden Ehrenreich is surprisingly good as Han Solo, and really sells himself as the character. The film also does a great job in recapturing Han and Chewie's dynamic. It takes steps to make this movie feel familiar, and those elements really work for me. The action sequences are also really fun. They aren't the best I have ever seen, but they help immerse me in the Star Wars universe. Even with all of these things, Solo still feels a little bit lackluster. It drags a bit throughout the movie's runtime, and could have had about fifteen to twenty minutes shaven off. It also doesn't really validate its existence as a movie. There was no need for a Han Solo movie and, even after seeing the film twice now, I still don't think there needed to be one, even though I enjoyed it. 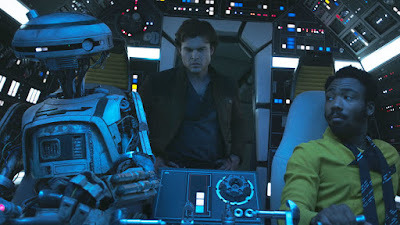 In the end, Solo: A Star Wars Story doesn't really add much to the overall Star Wars mythology (except for a surprise near the end, which was great), but it's fun and entertaining. While some parts do drag, there are other parts that are simply a lot of fun, and that is what Star Wars is supposed to be: fun. If you are apprehensive about seeing this film, I would encourage you to go see it in order to form your own opinion. I was skeptical myself, and it ended up surprising me. What do you think? Have you seen Solo: A Star Wars Story? If not, are you planning on seeing it? Leave your (spoiler-free) thoughts in the comments section below.